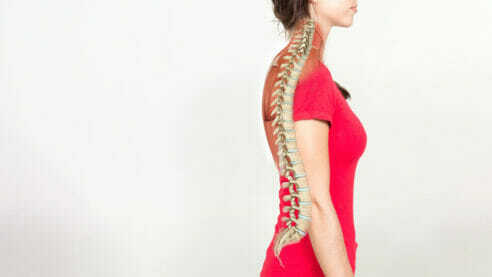 A spinal tumor is an abnormal growth within the spine. These growths may be cancerous or noncancerous, but either way, spinal tumors pose serious health risks because their growth puts pressure on sensitive tissues. Diagnosing spinal tumors can be difficult because the symptoms can be similar to other, more common conditions. Your doctor will take a complete medical history in addition to performing physical and neurological exams. Imaging is helpful in diagnosing spinal tumors. Your doctor may order magnetic resonance imaging (MRI) or computed tomography (CT) scans. Your physician may also need to perform a biopsy to collect a tissue sample for testing. How are spinal tumors treated nonsurgically? The primary goal of treatment is to completely eliminate the tumor. This can often be difficult depending on the location, size, and type of tumor. Treatments can sometimes pose risks of permanent damage to the spinal cord and other tissue. Your physician will discuss the benefits and risks of different treatment options. Monitoring – If the tumor is detected before the appearance of symptoms and is thought to be benign (noncancerous), your physician may recommend monitoring the tumor for changes rather than pursuing more aggressive, riskier options. Radiation therapy – Radiation therapy may be used to eliminate tumors that can’t be removed by surgery, or it can be used on its own to treat cancerous tumors. Chemotherapy – Chemotherapy is a standard treatment for cancer and may be used in the treatment of spinal tumors as well. Other medications – Your physician may also prescribe other medication, such as steroids, to help manage the symptoms associated with the tumor or the treatments. What are the surgical treatment options for spinal tumors? One surgical treatment option may be tumor excision, which is surgery to remove the tumor. Advanced techniques allow your physician to effectively remove the tumor while minimizing risks for complications. Unfortunately, surgery cannot completely remove all spinal tumors. Talk with your doctor to find out whether you are a candidate for surgical removal of your spinal tumor. Depending on the tumor’s location, your doctor may also recommend spinal fusion surgery to stabilize the spine. Fusion surgery attaches the damaged vertebral bone to an adjacent vertebral bone so that they grow together into one long bone. A fusion will reduce freedom of movement in the spine by making the fused vertebral bones immobile, but that immobility serves the purpose of stabilizing the spine.